I love making fun food for my four kids! I love it even more if it's an easy recipe! This cute dessert was part of my Camp Mom activity schedule for this week. It will be included in my Camp Mom Recap on Tuesday, but it was just so cute that it deserved to be featured! My inspiration came from a similar idea on Pinterest that used pudding and gummy bears, but I wanted to alter it a bit! I love the idea of using paper umbrellas, but all I could envision was Liam or Lily poking themselves or an older sibling in the eye. I decided to skip those and make it completely kid friendly! I made the Jello in the evening, poured it into individual cups and let it set in the fridge overnight. 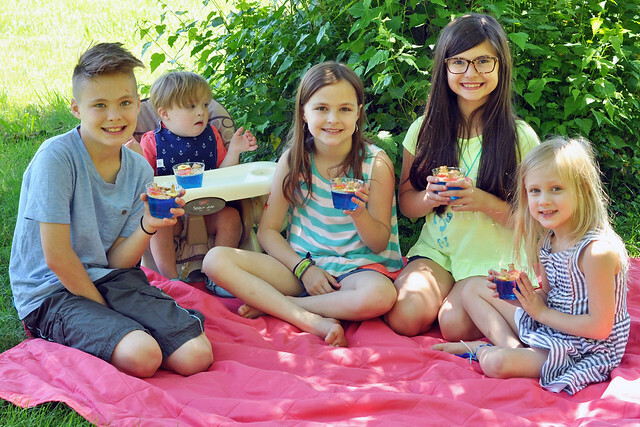 The following day, I recruited the older kids to help assemble the Jello Cups. We crushed a package of graham crackers with a hammer, then added a handful to half of each cup. 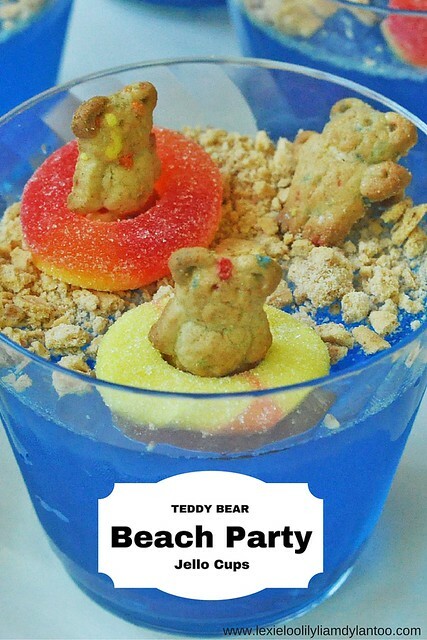 The kids put 2 gummy rings in each cup, positioned Teddy Graham bears inside each ring, then added an extra Teddy Graham bear to the sand. Although the initial wait time is longer because the Jello has to set, the actual assembly took less than 5 minutes! The older kids were great helpers. I love including them when we make a recipe because they learn that hard work (or in this case...easy) pays off. They couldn't wait to try their fun treat! 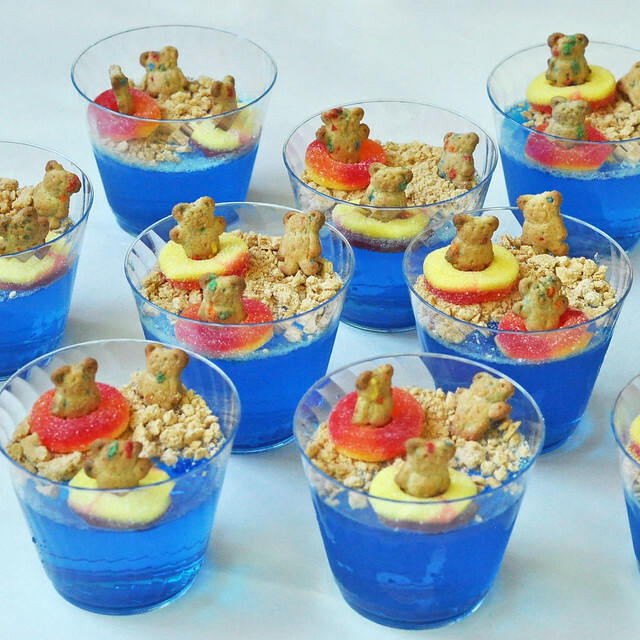 The Teddy Bear Beach Party Jello Cups were a hit with my crew! 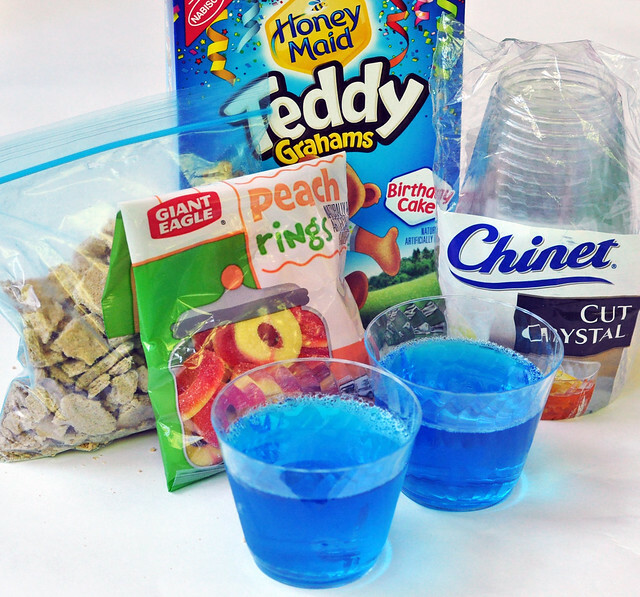 My kids loved this treat so much and quickly asked for seconds. 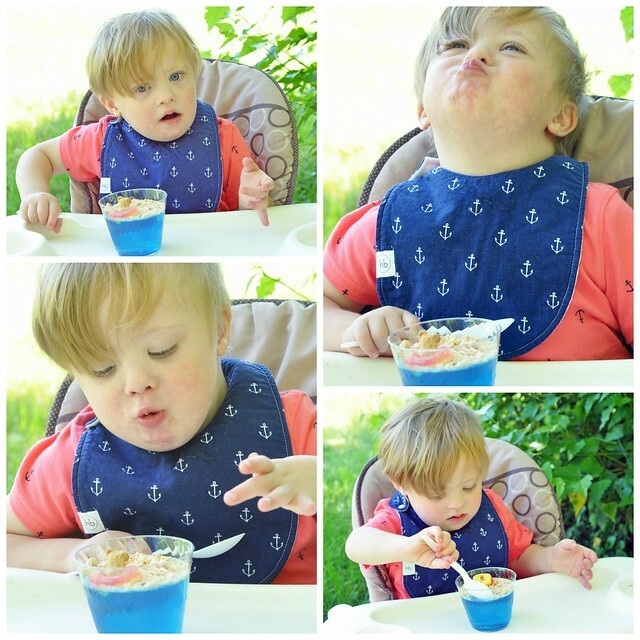 We'll definitely be making this fun and easy dessert again! 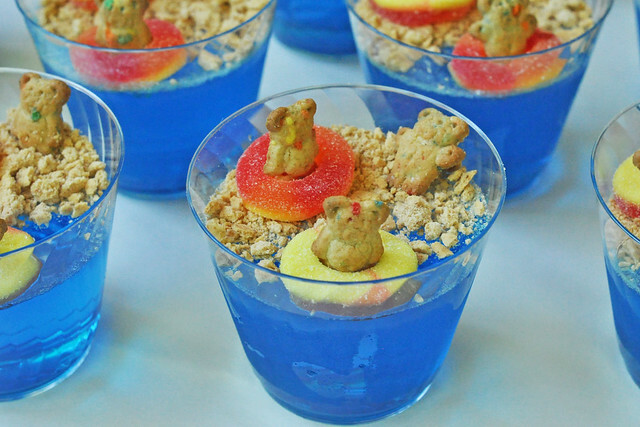 What is your favorite Jello recipe? Linking up with Grammie Time for Party at My Place! I have ALWAYS wanted to do this, but haven't you just convinced me. We are definitely going to make it happen soon. You should!!! 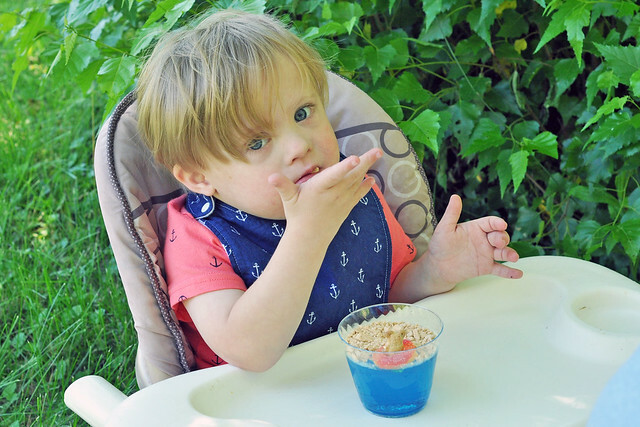 I think we're making sand pudding cups next week! These are so adorable! Such a clever idea! Thanks! I just changed up the recipe a bit! These are so adorable!! 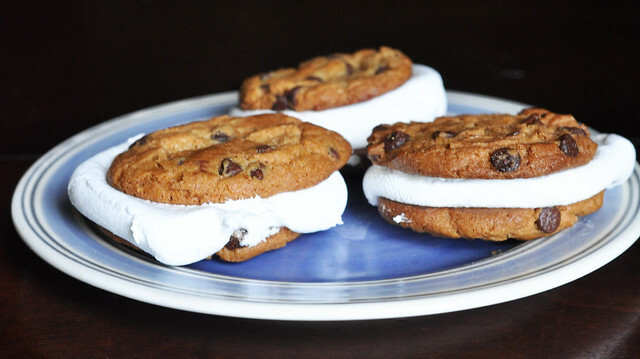 I will so have to make these this summer!!! You definitely should! They're so easy to make! Oh I need to make jello more! These are stinkin cute! I don't know why I don't make it more! Everybody loves it and you can add so much to it! 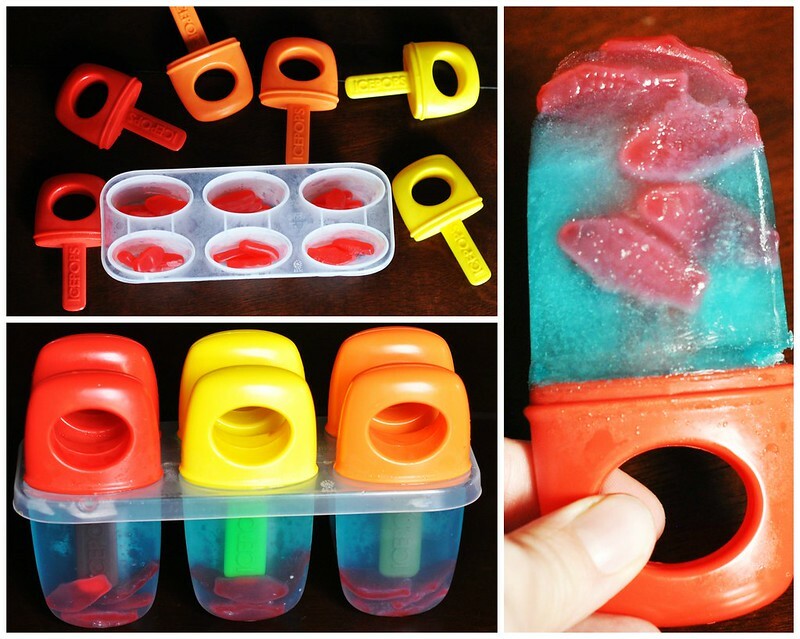 This is a perfect summer treat! Love! Thank you! And easy...which I like! So cute, my kiddos would love making these! These are so cute. Too cute to even eat. I would love to do this for Beach week at school. Will definitely be sharing these for summer this week.